Ever since the world came together almost three years ago to celebrate the agreement reached in Paris at the COP21 to prevent the catastrophic consequences of extreme weather events, there has not been an uneventful week in the fight against climate change. Last week was no different. On Monday, the Intergovernmental Panel on Climate Change (IPCC) meeting in Incheon, South Korea, issued yet another stark warning of the need to adapt our economy and societies to a low carbon future. Maintaining a global warming of around 2 degrees will not be enough; we must ensure that the global increase in temperatures does not exceed 1.5 degrees. As if half a degree of temperature made much of a difference? Well, the evidence is striking and the likelihood of massive weather disruptions, population moves and economic systems challenged is clear and concrete. This NY Times infographic makes for sober reading. 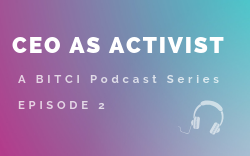 In fact the IPCC warns that with current levels of emissions, we are set to achieve a 3 degree temperature raise, way beyond any acceptable scenario for climate adaptation and mitigation. Later that day, the Nobel Prize in economic science was awarded to William Nordhaus, the Yale University co-author of the Dynamic Integrated Climate-Economy model, which allows to incorporate economic dimensions in estimating the cost of climate change. His model has been widely used to study the impact of policy decisions on climate change, for example carbon tax and CO2 emissions. John FitzGerald’s column in The Irish Times (12th October) paints a clear perspective of the importance of Nordhaus’ research and its practical application today as we look into more concrete measures to halt temperature raises at the global level. Last Wednesday and almost as in response to the IPCC report and Nordhaus recognition, the European Parliament voted on a resolution preparing the EU’s positioning at the forthcoming COP24 in Poland, urging the Commission to increase its emissions reduction pledge beyond the commitments made at COP 21 in Paris from a 40% overall reduction in CO2 emissions across the EU by 2020 to at least 55%. Additionally, the Parliament urges the EU climate strategy to aim for net zero emissions for 2050 and beyond models for decarbonisation. And if that was not enough, we ended the week with a new Minister for Communications, Climate Action and Environment taking over the leadership of Ireland’s climate agenda. Minister Richard Bruton will have a heavy file on his desk this week when he moves office as indications that Ireland will miss its EU 2020 targets on CO2 emissions are quite evident. Last week’s budget announcement made no clear indication of whether increasing carbon tax is seen as a viable measure for leading Ireland into a low carbon economy. Concrete measures, included in the Ireland 2040 Plan and our National Mitigation Plan, as well as the Citizen’s Assembly third report should be carefully considered. The collective leadership of business is much needed to drive our ambitions to the low carbon economy. Collective action such as the Business in the Community Ireland Low Carbon pledge is a step, clearly not sufficient but in the direction of making Ireland’s largest companies future-fit and ready for the low carbon economy. At our upcoming CEO forum on 14th November, we will announce the latest companies to have signed this pledge but we urge all businesses in Ireland to do their part and step up to this critical challenge. 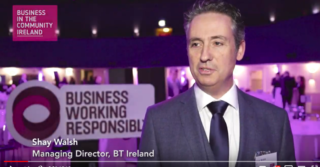 ﻿ Hear directly from Shay Walsh, Managing Director, BT Ireland on why the Business Working Responsibly mark is a key accreditation to have and why it was instrumental in verifying the CSR areas at the heart of the business such as diversity and climate change. 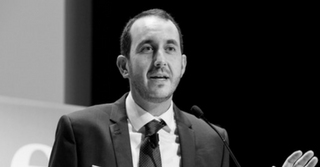 Find out about the Business Working Responsibly mark. 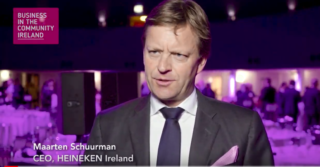 ﻿ Watch a short interview with Maarten Schuurman, CEO of HEINEKEN Ireland. Achieving the Mark has helped the company know they are on the right sustainability track and also encourage them to continuously improve. Meet all the top businesses in Ireland that have achieved the Business Working Responsibly mark.